A get out-of-jail free’ card was handed to the Tasmanian crew on Voodoo Chile in the deciding race of the Aberdeen Asset Management Farr 40 One Design Trophy and this afternoon they were flying double winner’s flags for their overall regatta and Corinthian triumphs. Guido Belgiorno-Nettis’ Transfusion had one hand on the trophy when four of the six Farr 40s lining up for the seventh and final race were individually recalled, including Transfusion. 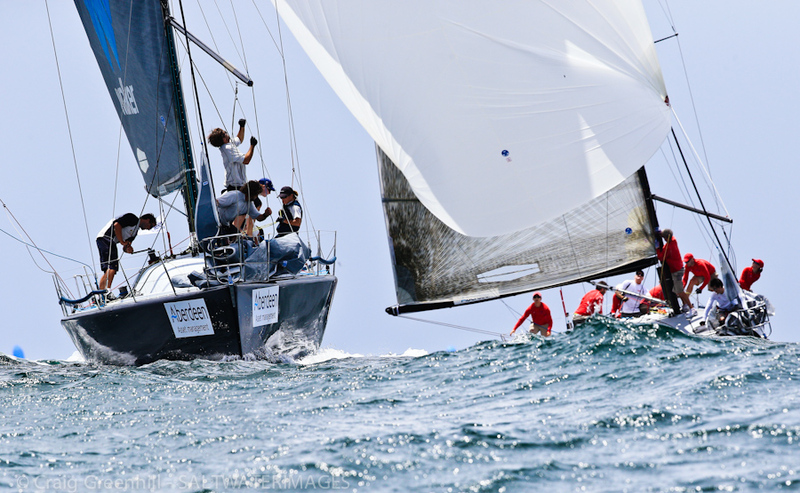 Only a late starting Edake (Jeff Carter) and Lloyd Clarke’s Voodoo Chile right on the line avoided the race committee’s wide net, the latter perfectly placed to seize the opening. 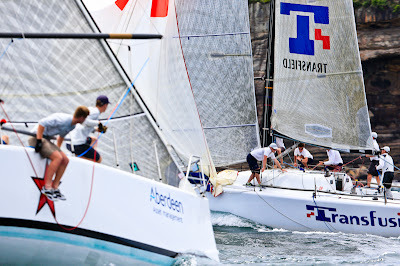 Transfusion’s crew threw everything they had at the front-runner, coming within a couple of boat lengths, but the Taswegians clung to their controlling position and won on a count back thanks to four bullets against Transfusion’s three. So far this season Voodoo Chile has out-sailed the one-design fleet at the opening Queensland State Title and now the seven-race One Design Trophy on Sydney Harbour. 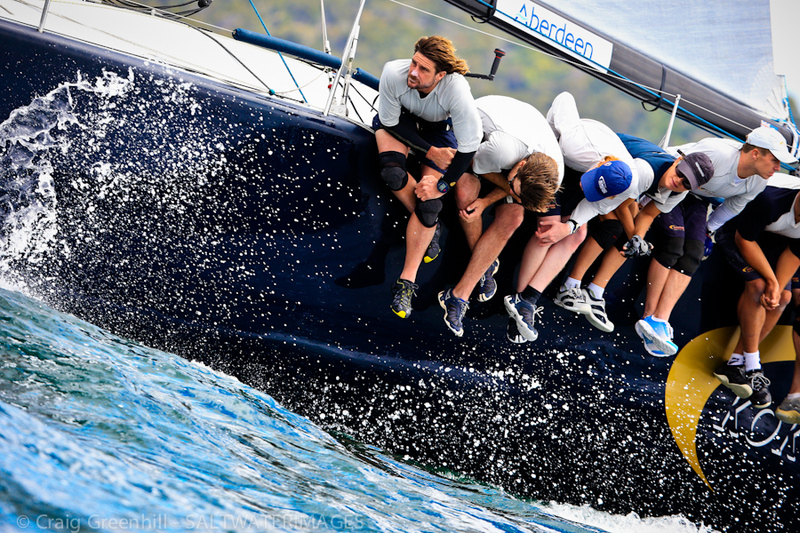 “We have stepped it up,” granted Clark, a successful Hobart hotelier. 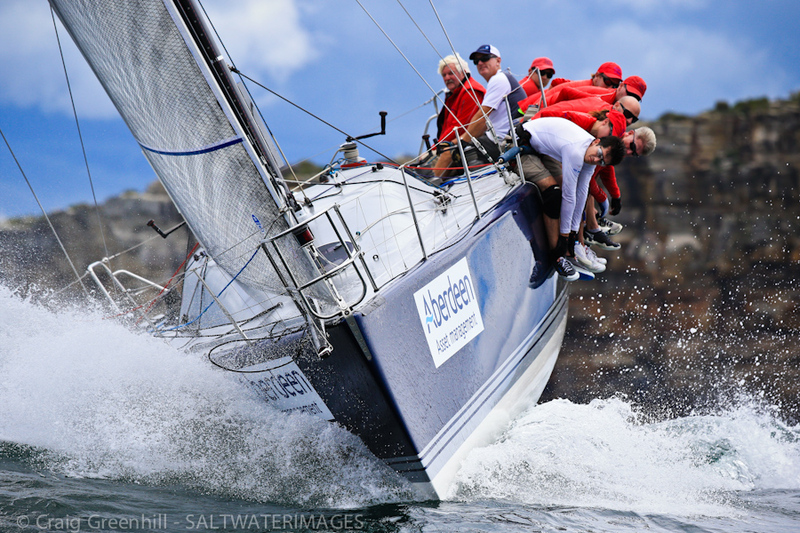 “We’ve had another year on the water and a lot of help from ‘Chapo’,” he said, acknowledging his star tactician David Chapman, a Sydney based champion youth match racer who flies to Hobart regularly to train with the crew. Mainsheet trimmer Skip Baxter flew from New Zealand to replace Voodoo’s regular trimmer. 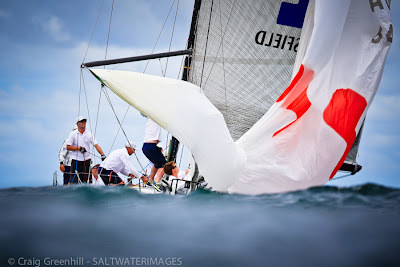 Baxter’s impressive resume of international Farr 40 sailing came to the fore this weekend and Clark labelled the Kiwi’s contribution “invaluable”. Nestled between the dramatic sandstone cliffs of North and South Head, the fleet of six 40-footers raced three final windward/leewards on choppy seas where the outgoing tide converged with the average 10-12 ENE breeze, gusting up to 17 knots in race five and easing as the afternoon unfolded. Transfusion was a point ahead when the Principal Race Officer Phil Yeomans asked Belgiorno-Nettis, the Farr 40 Australian class president, whether he’d like a third and final race run this afternoon. 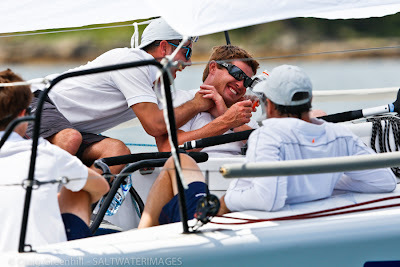 Absolutely was the call. 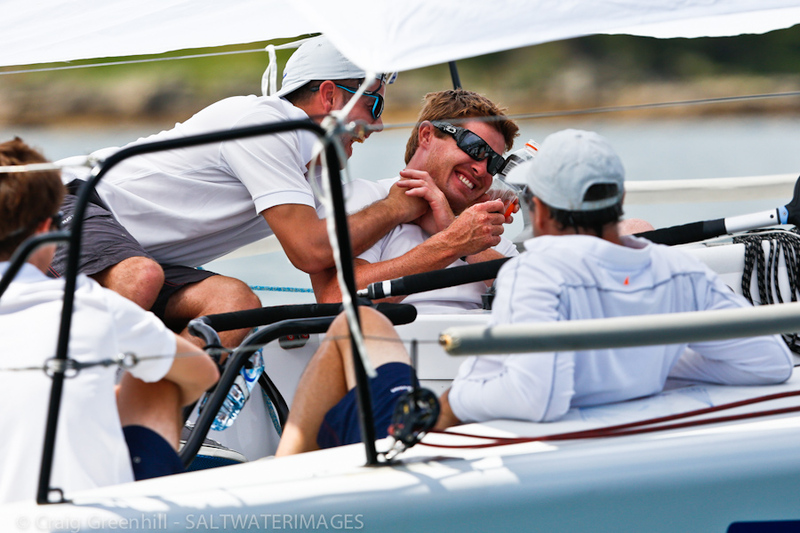 “It was very sporting of you to put on a third race,” said the grinning Clark when the victor and runner-up shook hands on the marina at Middle Harbour Yacht Club this afternoon. 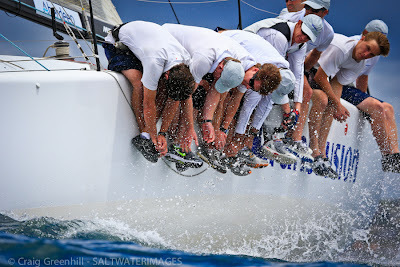 The fleet is split into Corinthian, which allows for up to two professionals among the crew, and professional, for up to four paid crewmembers. For Voodoo Chile to win both divisions away from home, particularly given the calibre of the pro teams with their share of Olympic gold medallists, is a mark of their growing stature within the class. 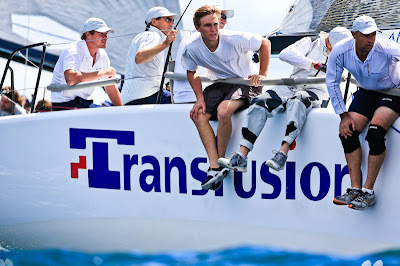 Transfusion is aiming for next year’s Rolex Farr 40 World Championship in San Francisco and tactician Tom Slingsby, part of the winning Oracle Team USA America’s Cup team, will be a key ingredient in the Sydney businessman’s push for a second world crown. 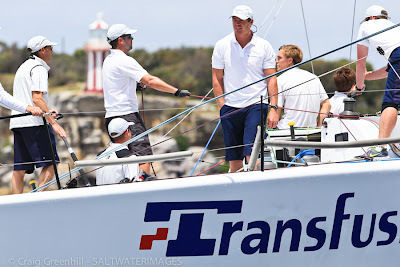 “No one knows San Fran Bay like Tommy, he reckons he’s done more sailing on that bay that at home,” said Belgiorno-Nettis. 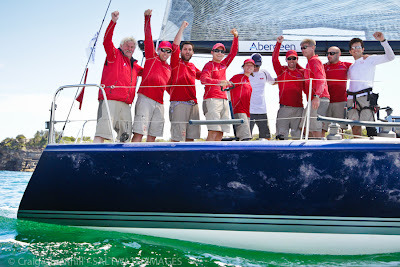 Third boat overall on the Aberdeen Asset Management One Design Trophy point score on 26 points was Lang Walker’s Kokomo with double 470 gold Olympic medallist Malcolm Page calling the shots. 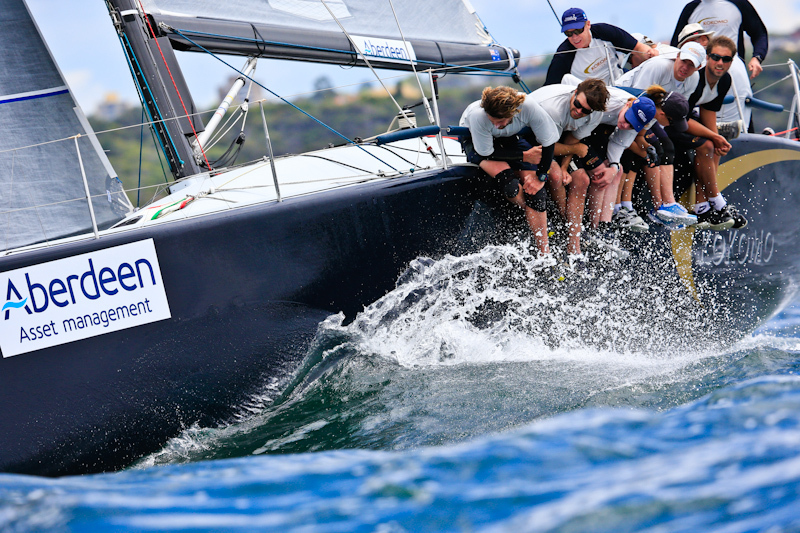 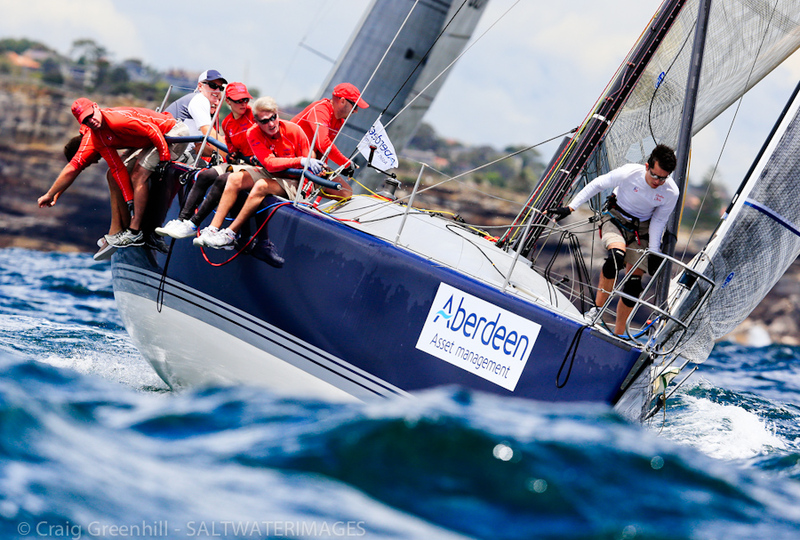 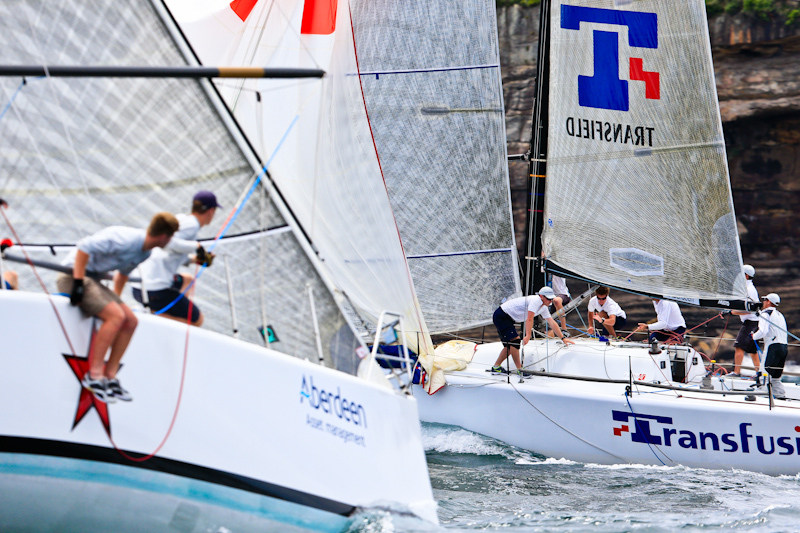 The next event of the Aberdeen Asset Management Farr 40 Australian series is the NSW State Title, 9-12 January, 2014 at the Royal Sydney Yacht Squadron where up to 10 Farr 40s will vie for the state trophy. 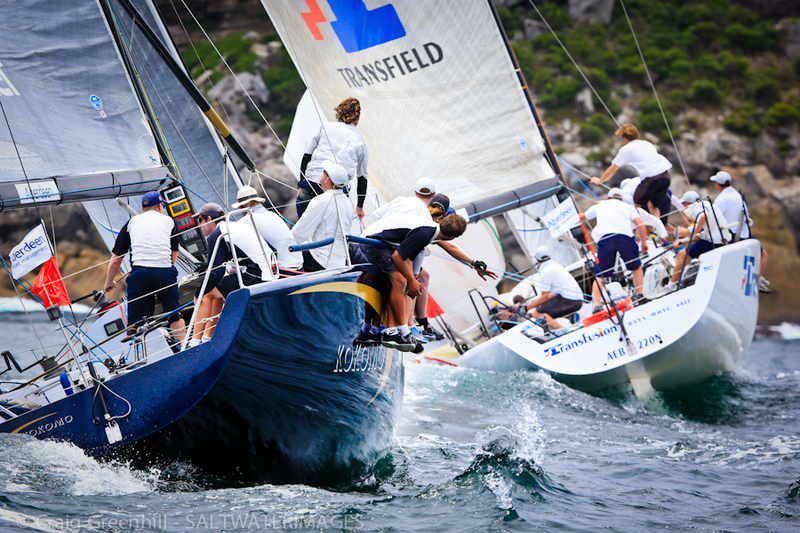 The Tasmanian State Title, 15-17 February, 2014, will precede the John Calvert-Jones Nationals, 19-22 February, 2014.